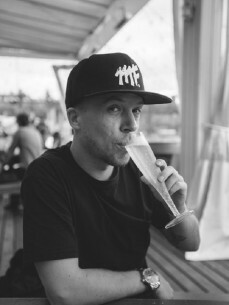 Being one half of a successful DJ duo Mightyfools for the past 11 years, Jelle Keizer has played close to a thousand shows around the globe including massive events such as Tomorrowland, Ultra, Creamfields and Mysteryland. Reigning crowds from Japan to the USA, Australia to Ibiza. With various mega club hits such as Footrocker, Put Em Up, Go, Garuda and collaborations with Afrojack, Yellow Claw, Quintino and Sick Individuals, the Dutch duo have definitely set their mark on the international dance scene. Now, after more than a decade of intense touring, they have decided to call it a day and find new challenges in life. With the end of an era, it’s time for a new chapter, and there’s a reputation to be upheld.